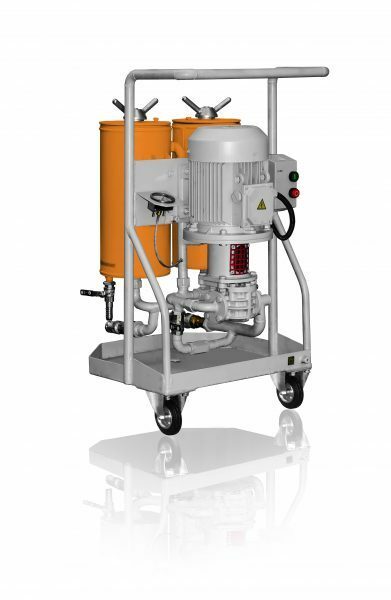 Mobile and stationary oil filtration units CFU, CMM-F or BF series are designed to purify and filter the insulating (transformer), industrial, hydraulic or diesel fuel oils from mechanical/solid contaminants (CFU and BF series) as well as from free and dissolved water, water-soluble acids, alkali and solids (CMM-F series). Maximum oil viscosity should be 70 cSt at 50 0C. The units are used during installation, repairs/maintenance and operation of oil-filled equipment as well as in oil processing facilities. They are capable of reaching Class 9 industrial purity (-/15/12 by ISO 4406) in multiple passes through the filters. 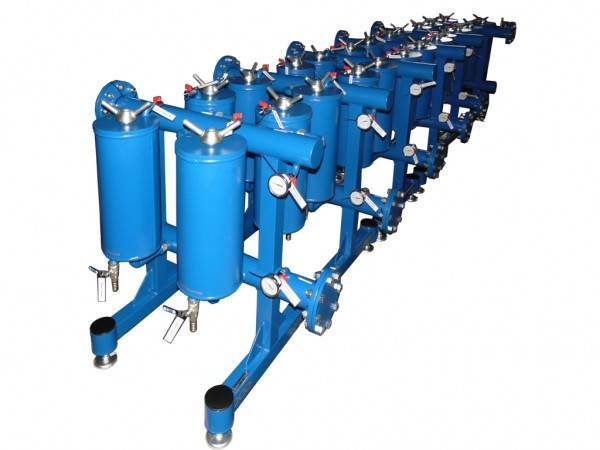 There are available units of mobile or stationary type, restituting oil, making filtration either in-line or from tank to tank. Portable transformer oil purifier CFU is very small device for small servicing companies, basically for inner use. The use of insulating oil in electrical equipment carries with it the problem of prevention of deterioration when the oil is subjected to elevated temperatures in the presence of air. Deterioration may be accelerated by the presence of moisture and organic acid. This condition is found in certain types of transformers and oil-filled bushings. Transformer Oil Filtration Unit BF uses Innovative Transformer Oil Reconditioning Process, that helps to protect the Environment and Your Operation. A necessary requirement of all utility and industrial customers across the United States is continued transformer maintenance. Aside from avoiding over voltages, the primary process that promotes transformer longevity is oil reclamation. Much like your car requires oil changes every 3,000 miles or three months, transformers require pure, clean oil to ensure dielectric strength and insulation properties. The oil reclamation process today utilizes “oil absorbent clay” inside a large filtration tanks. During the recycling process, the clay captures impurities and contaminants from the transformer oil until it is fully saturated. Unfortunately, the entire lot of saturated clay is disposed of as solid waste typically in large 55-gallon drums. According to U.S. Federal law, the original owner of this solid waste contaminated with use oil, regardless of the disposing entity, is liable for its existence in the environment. This could last for many decades in a landfill!